I'm new the MC Forum. I just picked up a 71 Monte with a 2004 LS swap. I've had a couple of 70 montes back in the 80s and lowered the front by cutting the springs. I'm looking at lowering this one with 2" drop spindles. I want to run 15x8 corvette rallies. Has anyone had any wheel clearance issues? I know on the Square body trucks I've done I had to grind the lower a arm to clear the 15" wheels when using drop spindles. The front end did sit a little high on that car. Note that corvette rallys will rub if you lower it much. If you want an 8 inch wide rally to fit better I recommend you order some with 5 inch backspacing. The standard Corvette rally only has 4 inch backspacing so it sticks out too far and will rub if you car is lowered. 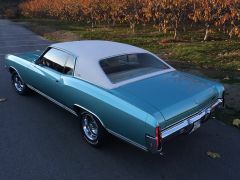 My 70 Monte sits up at stock height and my 245/60/15 tires on Corvette rallys rub once in a while on the quarter panel. The next FGMCC Western Meet will be in Penticton, BC in June. We will have over 25 70-72 Montes from Arizona, Washington, Nevada, Oregon, California, Montana, British Columbia, Alberta and Manitoba. The event itself has 850 cars, car auction, live bands, etc. It is a fun weekend with great people. When I bought the car from Chris he said it had been sitting for 7 years, outside. I've been talking about doing an LS swap for quite a while and I really like the first gen Monte Carlo so it was perfect for me. I wasn't even looking for another car but my wife talked me into looking at it. Shes an automotive enabler. Time has not been good to it. The carpet was infested with little black ants, Killed them and cleaned the carpet. The headliner at some point was home to some very smelly rodents, so out it came. They had also taken up residents in the dash, console and back seat. so out came the rest of the interior. Oh and the vents were packed as well. The master cylinder was bad along with some of the brake lines.So new brakes all the way around.I'm getting to know the car very well. A lot of little things left to do,some wiring I want to clean up, wiper motor, little things that went bad from sitting. It needs a posi and some gears. I'll be driving it and enjoying it while fixing stuff. It now lives in a heated shop and has a new lease on life. I've always gone with the theory on all of the cars I've bought that it doesn't feel like its yours until you've pretty much touched everything in it and on it. 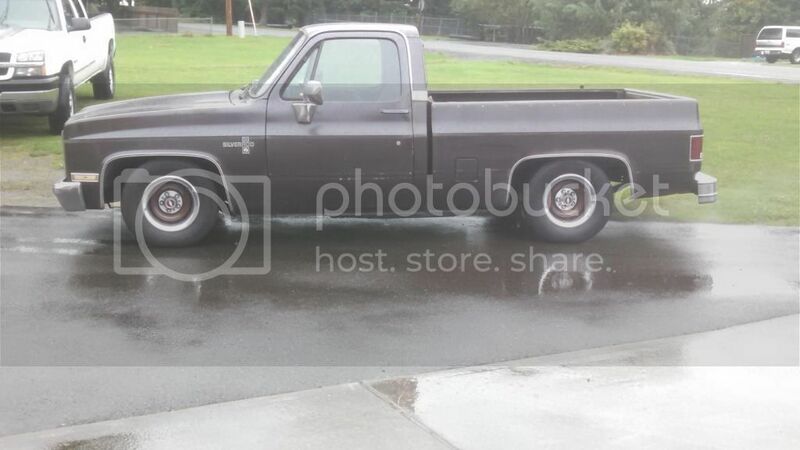 Lets just say its now mine. Glad to see you are making the car your own and that it is getting the attention it deserves. I hope to see it at an FGMCC meet again some day. We're up over thirty 70-72 Monte Carlos for this year's meet in June. Glad you’re bringing another one back to life. Execution time: 0.083 seconds. Total Queries: 17 Zlib Compression is on.